A crescent is a semi-circular or curved shape resembling the letter C and most notably is the shape of the moon when it is less than half illuminated. 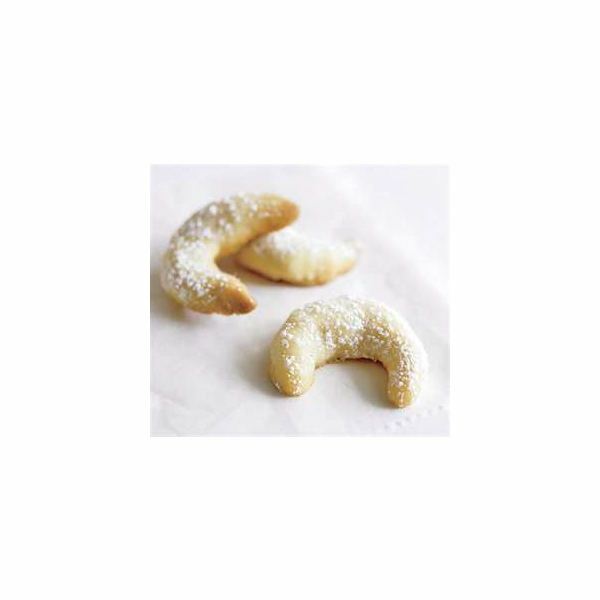 The crescent shape is used as an emblem on flags, as a design for jewelry and even in cooking. Students should be able to draw this shape easily since it does not require perfect sides and angles as with a square, rectangle or octagon shapes. Use a large pattern or copies of a crescent. Students can practice cutting by following the bold lines on the pattern. 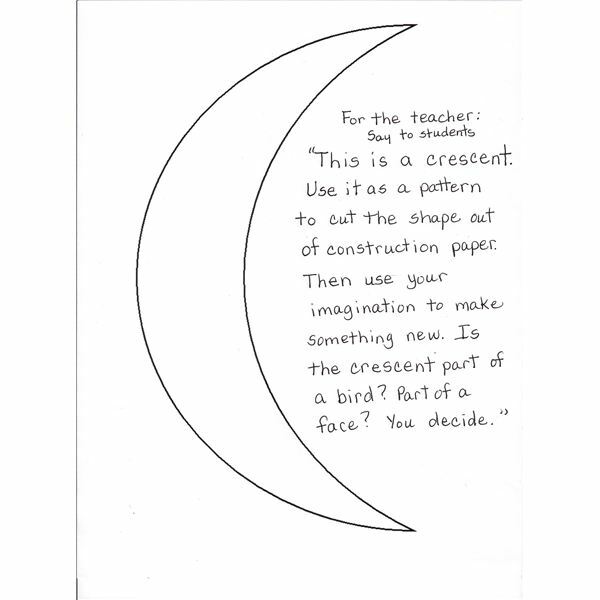 Then students should glue the crescent on a large piece of construction paper and create a new picture. Is the crescent shape part of a bird’s body or is the crescent a hat on someone’s head? Is it a boat in the water? Encourage individuality and imagination. 2. At the easel, use two or three colors of tempera paint to create a multi-colored page full of crescents. 3. Use play-dough to roll into long snake-like cylinders and turn them into crescents. 4. Try cooking/eating something in a crescent shape: crescent rolls, cookies or elbow macaroni. Always be aware of any allergy issues with your students when you add food or cooking to a lesson. 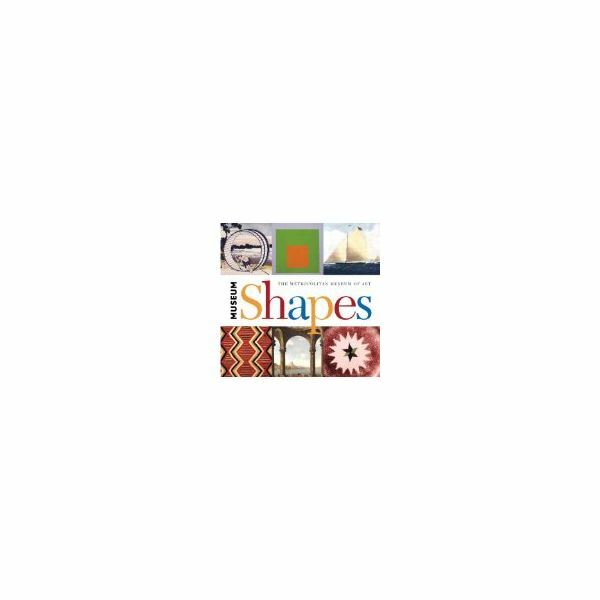 This is a beautiful but simple book of shapes, which includes common shapes and unusual shapes found in art. Some of the uncommon preschool shapes used are the arch, oval, crescent and diamond. 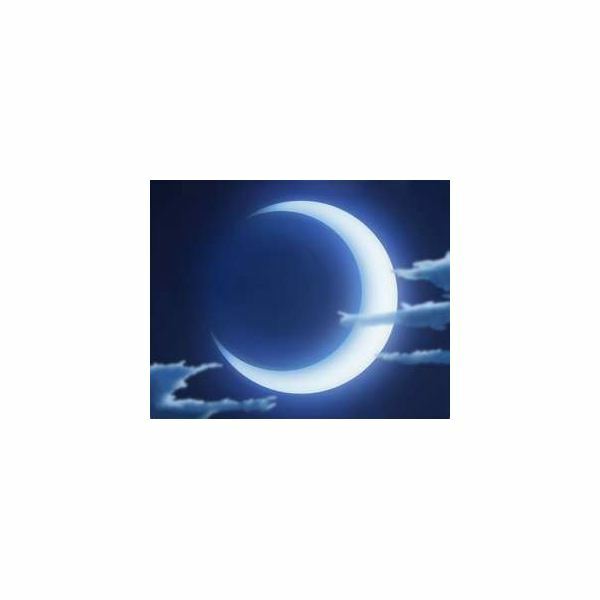 The book has simple text with pictures of the Earth's moon phases including the crescent. We know that the letter C is shaped like a crescent but what about the other letters? As a class, discover how many letters have the crescent shape as part of their formation. Some examples are O, B, D, R, G.
Send a brief note home to parents asking if they could help their child find some crescent shapes at home. Suggest ideas such as elbow macaroni, jewelry, artwork, etc. Include a piece of plain white paper with the note for the child to draw pictures of the crescent shaped items that were found at home. Students are ready and eager to learn, so include unusual choices in a unit on preschool shapes: crescents, hearts, diamonds and ovals. You'll be surprised at how many shapes they can point out in the daily surroundings.